Home > Lifestyle > What Does It Mean When You Dream About Roaches? What Does It Mean When You Dream About Roaches? Cockroaches are a common phobia. They are disgusting, slimy and annoyingly talented at staying alive. While you might hate a cockroach in real life though, it can mean something positive in your dreams. The first, and most obvious, possibility is that you have a phobia related to cockroaches. If you are afraid of cockroaches, then they may only appear in your dream because of the fear and nothing else. You may be afraid that they will end up on or in your food. You could be afraid that they will make you ill. If you are afraid of cockroaches, then this might be the only reason why they are appearing. If you do not have a deep-seated phobia, then there is good news in store for you! The appearance of a cockroach in your dream represents tenacity and longevity. Cockroaches can live through anything, so these insects represent the ability to persevere through any type of situation. Even when things seem difficult, your hard work will eventually start to pay off. The dream is especially positive if you are smoking a roach, talking to a roach or surviving with a roach. 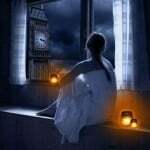 There are occasions when the dream is less auspicious. It can be negative if you are overrun by roaches because it may mean that you lack the emotional strength to follow through on your promises. Because of this, it may mean that you may constantly let people down. If there is just one or a few cockroaches in the dream, it may symbolize that you will beat the odds, even if your situation is challenging. Just take a look at your life and figure out the ways that you could be overreaching or overreacting. 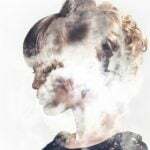 You have to stick to the commitment that you already have, but you may want to consider avoiding new commitments until your life is under control. In the meanwhile, try to be flexible, adaptive and creative. Even when the worst situations occur, you can navigate them safely if you take it one step at a time and remain flexible. Think back to the dream. How did you react to seeing the cockroach? If you had a negative reaction to them, then it could be an indication of your health. 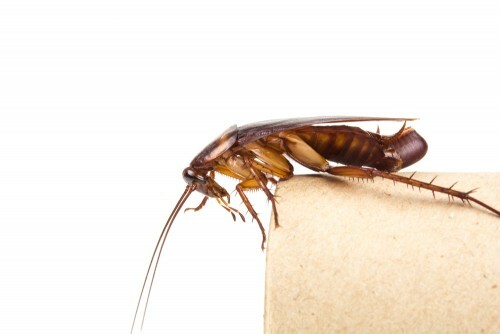 Cockroaches can spread diseases, so a negative reaction in the dream could indicate that you need to focus on your personal care or sanitation because these factors could lead to an illness. Eat healthy, clean your home and get plenty of rest to stay in good health. 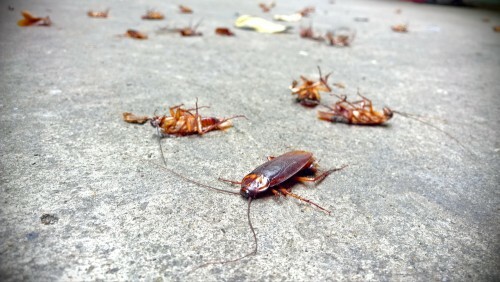 Killing a cockroach or seeing dead roaches in your dream shows that your desires or lust for life has fallen away. You may feel melancholy or depressed because nothing seems worth it anymore. You may feel indecisive because you do not think that any option will ever make you happy. You have to be very careful if this is the case, or you may unintentionally keep yourself from taking advantage of opportunities for your own growth and fulfillment. Before you decide for sure what the cockroach means in your dream, think about the situation. Was it alive or dead? Was there one cockroach or a bunch of them? Did you feel scared or perfectly fine? Your reaction to the cockroaches in the dream, the exact situation, the number of cockroaches and if they were alive can all mean specific things. By analyzing your dream carefully, you can figure out exactly what the cockroaches meant when they appeared. While some of these meanings can be inauspicious or negative, cockroaches can also represent perseverance, longevity and auspicious changes.